This week’s press is full of references to the Falklands War, which began 30 years ago on 2 April 1982. The anniversary comes while tensions are once again high over the question of the Falklands’ sovereignty, but the event has been celebrated with solemnity in the UK. 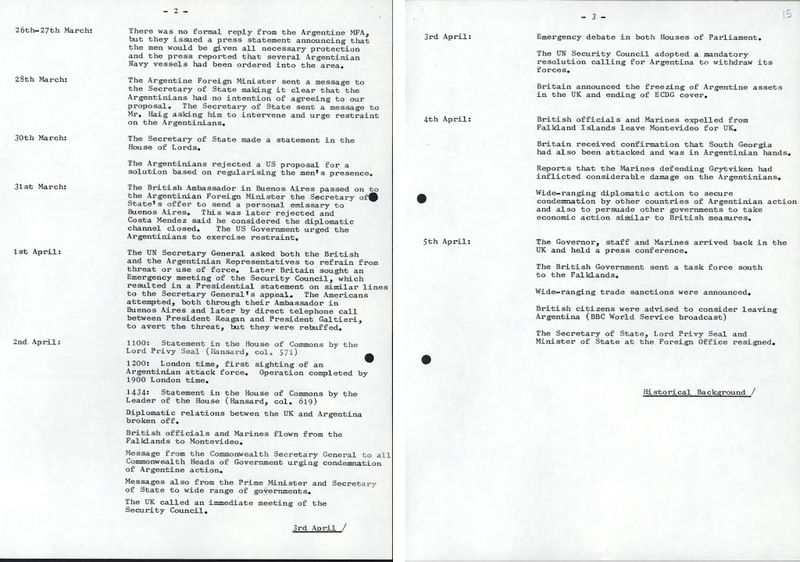 Although many of the Conservative Party Archive’s files on the Falklands remain closed, those that are available help to provide a picture of the UK government’s struggles and decisions during the first days of the conflict. Politics Today (not pictured) provided background for politicians on current events and legislation, and ‘The Falklands Conflict’ issue (August 1982, PUB 221/40) provides information on the conflict, its resolution and the stance of other UK political parties on it. 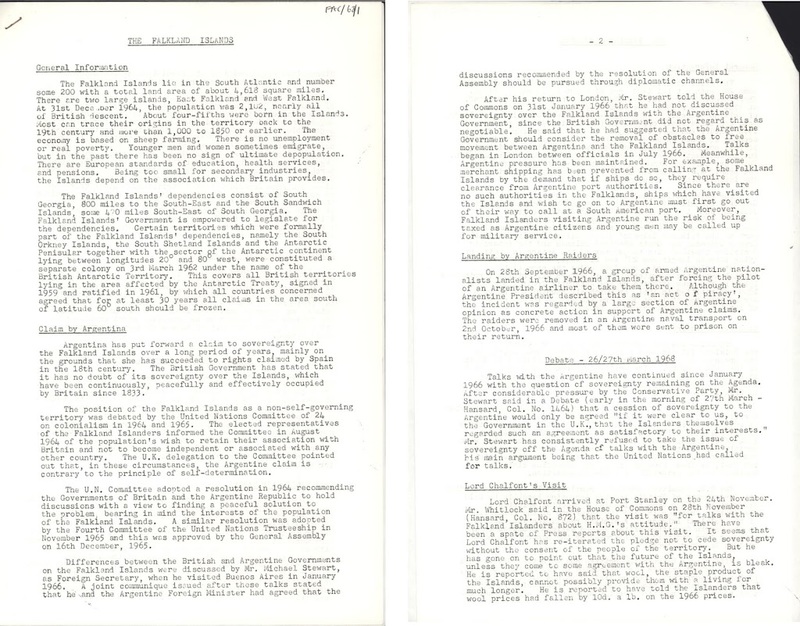 The Conservative Research Department was responsible for providing briefs to MPs and Party members on various issues. 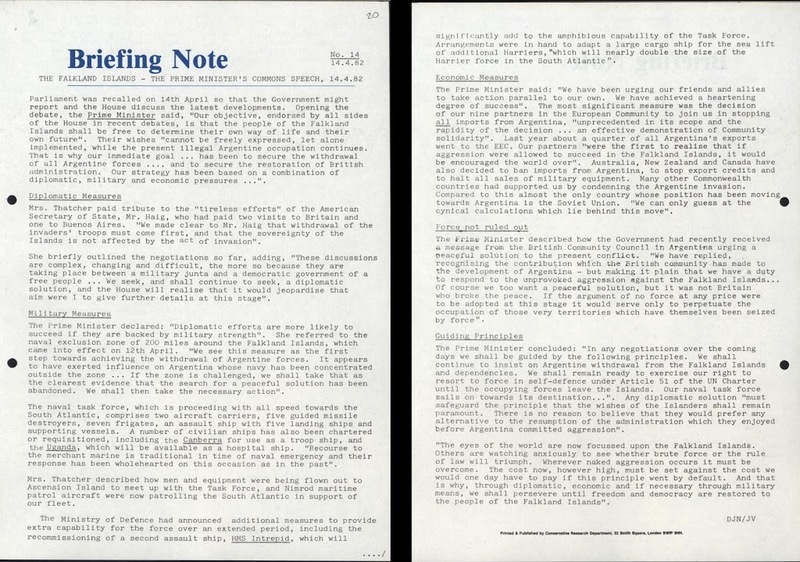 This 1967 brief (pictured above) was produced after a group of Argentine nationalists forced an plane to land in the Falklands; the event was described by the Argentine President as ‘an act of piracy’ but raised questions over the place of a debate over sovereignty (CRD/B/14/2). 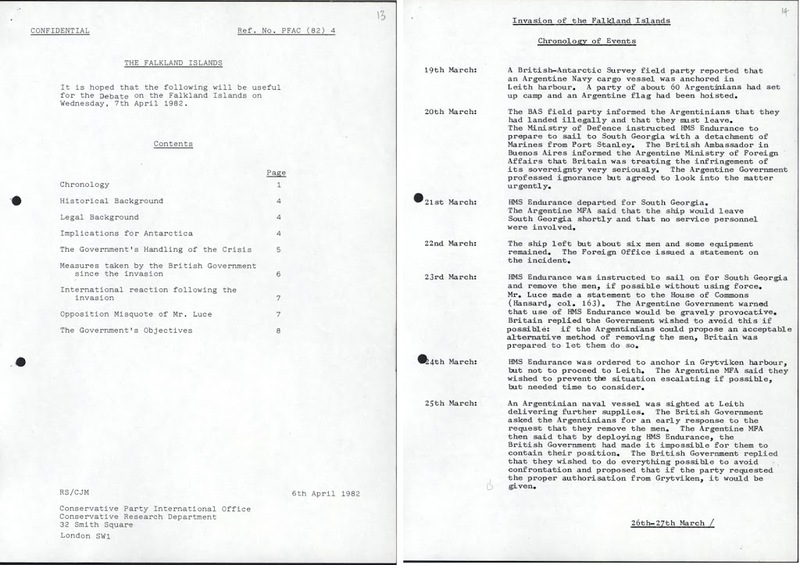 Above, an early CRD/International Office Brief issued shortly after the beginning of the conflict provides background for those MPs going into the Falklands debate in the House of Commons on 7 April 1982. It covers the historical situation, the British response and international reactions. A second brief (not pictured), circulated later that month, provided background on the UN’s stance, international opinion and the sequence of events (CRD/B/14/5). 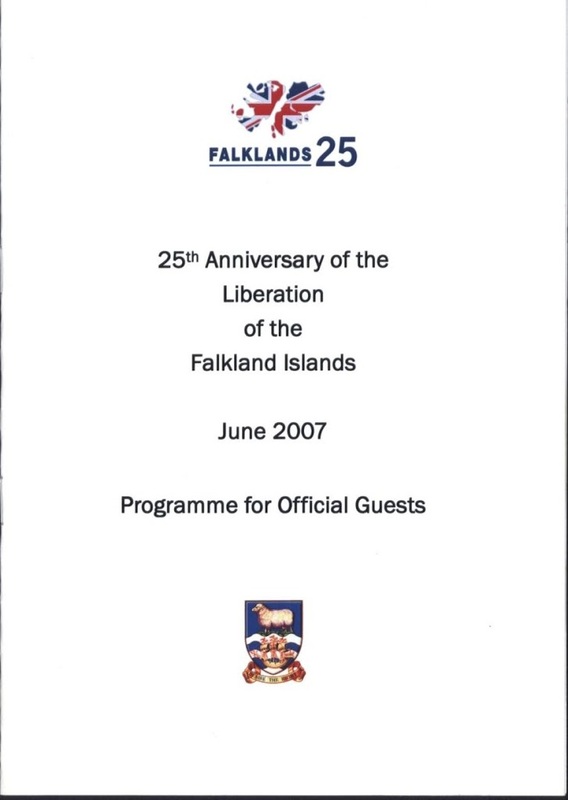 On the 25th anniversary of the Falklands conflict in 2007, former Conservative Party Chairman Cecil Parkinson travelled to the islands; these commemorative items are part of the papers he donated to the CPA.